We have been selling select, hand-picked/quality preowned vehicles since 1982. Every vehicle is inspected and serviced to our high standards to ensure it will meet or exceed yours. For over 30 years, Thoroughbred Motors has been the leader in independent preowned dealers in the Oklahoma City Metro and Central Oklahoma. We also offer a brokering service to help you find that perfect preowned vehicle. Also make sure to ask for our free Carfax report available on all of our cars. If there is a car you have been looking for but are not comfortable dealing with other dealers in out of state markets, let us help in locating that special car for you from our data base of thousands of high quality lease return vehicles. Thank you for taking a moment to review our inventory on our website; come out for a visit and test-drive your next car soon! "Repeat customer - - -Quality dealer!!!" 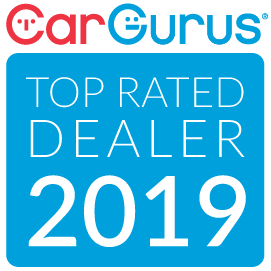 An outstanding dealer who ALWAYS provides quality cars and their customer service is best in the metro area!!! 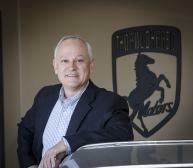 "Super dealer -- more than 20 transactions"
Have purchased numerous vehicles from Thoroughbred Motors over past twenty years, from high performance sports cars to SUVs. All transactions have been straight-forward with vehicles found to be as represented--no surprises. Owner and staff highly knowledgeable. Highly satisfied, repeat customer who has enjoyed dealing with true professionals. "My family purchased over 25 cars with pleasure"
Who would have thought that buying a car could be such a fun experience. Pricing is always very fair. I will never purchase a car anywhere else. "Repeat customer for over 25 years"
Not only do I respect this dealer, I also have the up-most respect for the owner. Thoroughbred always goes the extra mile. They never hesitate to give me information about any car I might be interested in. Even if its not in their inventory, they will offer consulting if its a good value. Over the years the owner has become a trusted friend. I would highly recommend this dealership. There are no sales games. No one has time for that kind of non-sense. Most people hate the car buying experience. I can truly say that will not the case at Thoroughbred Motors. Stephen Saak, CEO S&S Promotions Inc.
My family and I have bought all of our cars over the last 10+ years from Thoroughbred. They are always very helpful and honest about their cars. Every time we have gone to them looking for a car (including my 2009 Toyota Highlander, which I LOVE!) they have done their best to find the right car for us. Their salesmen are great because they aren't pushing and actually listen to you. I would definitely recommend Thoroughbred to anyone looking for a car. "Bought over 20 vehicles from Dan, never a problem!" I have bought over 20 vehicles from Thoroughbred Motors over the years and have never been disappointed or mislead. Dan and his staff are wonderful Christian men and will do you right. They have never misrepresented a single thing on any of the cars I have purchased. I couldn't be happier and hope you will choose to buy from them. I can assure you that you will immediately see that Thoroughbred Motors is an easy no-hassle dealer and you will never go anywhere else.